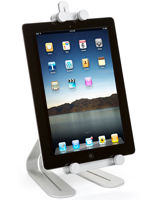 Do you need non-locking iPad stands for your home or office use? 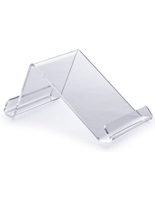 With such a vast collection of tablet mounts to choose from, shoppers are sometimes dumbfounded as to what style will be most effective. The first question to ask is: where is the device going to be displayed? 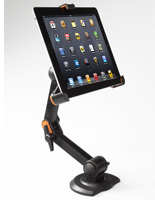 There are iPad mounts that fasten to desktops as well as floor-standing selections. 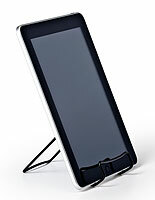 The non-locking iPad stands depicted here are specifically built for countertop use. 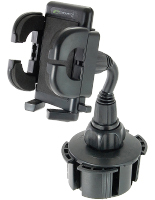 Many of these mounts have open platforms without locks, which makes them fantastic for use in unsecured locations. So another great thought to ponder is whether or not the portable device computer should be locked. If so, there are many other styles found on the site that will prevent theft. On the other hand if you plan to use the iPad mounts in a business office, at a trade show, or in a residence, these Apple cases may be the ideal choice. The non-locking kiosks are exceedingly rugged and last through many years of employment. 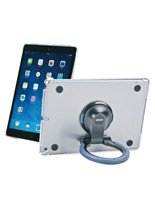 iPad mounts, also referred to as touchscreen device enclosures, ensure that tablets are being utilized to the fullest extent. In fact, all of the cases and covers enhance functionality while looking great. 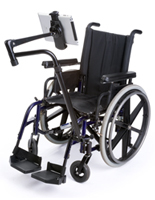 Check out each iPad mount to discover the proper match. 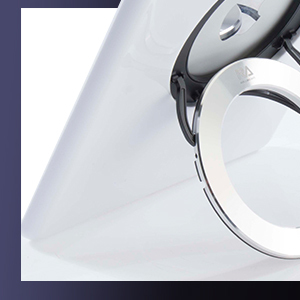 Every one of the accessories is detailed in full to help customers make informed decisions.